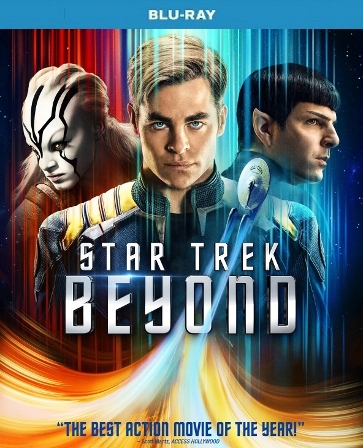 "Star Trek Beyond," the highly anticipated next installment in the globally popular Star Trek franchise, created by Gene Roddenberry and reintroduced by J.J. Abrams in 2009, returns with director Justin Lin (�The Fast and the Furious� franchise) at the helm of this epic voyage of the U.S.S. Enterprise and her intrepid crew. 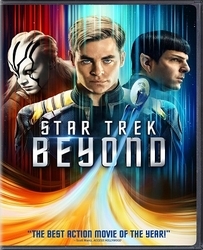 In �Beyond," the Enterprise crew explores the furthest reaches of uncharted space, where they encounter a mysterious new enemy who puts them and everything the Federation stands for to the test. I LOVED THE MOVIE!! And I am an old time 50 years of Trek Trekkie.... The actors are maturing into the roles and they were spot on. The movie paid respect to Lenard Nimoy's passing and was "for Anton"... It was a great ride... I have to admit to feeling teary, watching our grand Lady, Enterprise being dragged down and killed like an elephant being swarmed by hyenas... but over all, I am going to see it again.... Too bad some of you were so BORED... good grief..